This series is dedicated to all Machine Learning (ML) enthusiasts, especially those who reside in Australia and are interested to learn more about the local landscape. It is an eight part series, published weekly, covering topics from business applications, advice for business stakeholders and aspiring engineers, approach in implementing machine learning as well how to source for talent in the market. The motivation for creating this series is a personal quest to satiate my curiosity in this space, at the same time I hope it offers a good insight into what goes on behind-the-scenes. Kicking us off are two business use cases of machine learning, carsales.com Ltd and Culture Amp, both of which have integrated it as part of their core business. carsales.com Ltd (ASX: CAR) is the largest online automotive, motorcycle and marine classifieds business in Australia. Gus is the pioneer of carsales.com Ltd’s award winning AI technology that.. (I’ll let him tell you more below). Culture Amp is the world’s leading employee feedback and development platform. To date, they’ve worked with more than 2,000 companies and over 3 million employees. Michael was instrumental in making ML happen at Culture Amp, having built out their first ML team. From here, carsales.com Ltd will be abbreviated to carsales. 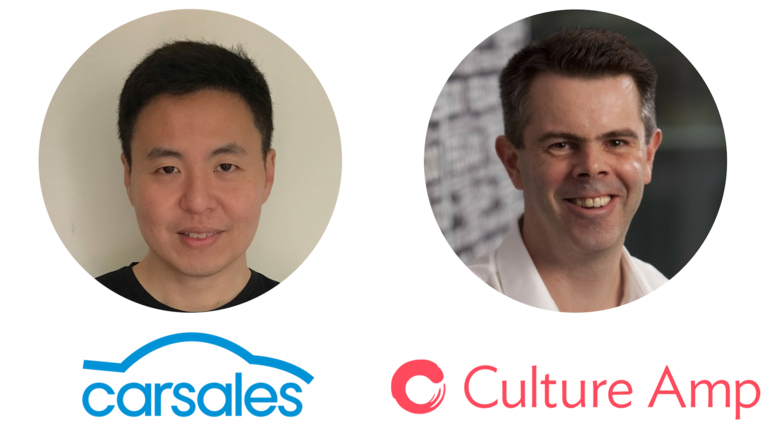 Q: How is ML or AI currently applied at carsales and Culture Amp? We started exploring AI to identify ways to use image recognition to automate internal processes. From here, project Cyclops was born. We successfully developed an image recognition technology that recognizes the make, model, badge, series and year from a photo of a car with an accuracy of over 95%. It is currently integrated within all photo publishing pipelines at carsales.com Ltd processing +100,000 photos a day. Since the rollout, Cyclops has reduced carsales’ Digital Service operation cost by 10%, removing the need for manual classification, with an increase of accuracy by 10%. Tessa: an AI engine that automates manual checks to help identify fraudulent activity and improves the quality of ad listings on carsales. Since deployment of Tessa, our operation efficiency has increased by approximately 50%. We’re leveraging ML to bring the collective intelligence of our 2,000-strong customer base to life in the Culture Amp platform. We make predictions of critical events when it comes to employees. For example, from the 3 million employees that we’ve worked with, we’ve learnt about the signals that an employee exhibits when they’re going to leave an organization. From this, we can calculate the risk of groups of employees leaving a company, and most importantly, explain why. ML is an area that isn’t currently well understood in the industry, but Culture Amp is in a good position as ML is part of our core business. In terms of maturity in production, we’re still at the first few steps. We’ve now got the people with the skills and we’re well on the journey to delivering valuable insights — and foresight — to business leaders and their teams around the globe. . We have a few models in production but a focus for us is developing better feedback mechanisms so these models improve over time. Have some burning questions of your own that weren’t answered? Please comment below or let me know at [email protected] as I’m planning the next series and would love new ideas! 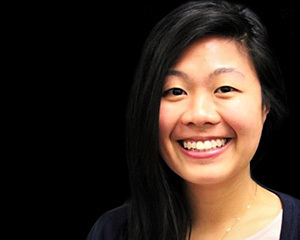 With an MBA in hand, Rachel Chong set off with ambitious travelling plans to satiate her curiosity of the world, only to be offered a role in a startup which was too good to turn down. A wee taste of this bustling space has got her hooked and she joins MitchelLake with a zealous passion to learn all things tech and help connect great talent to some of the worlds most innovative startups. An adventurous daredevil at heart, Rachel has stood on a suspended boulder above a 984m deep abyss and frequently scales rocks at heights that would make a grown man cry.